As I have grown up (in age; in height, not so much), many things have become more complicated. Coffee is not one of them. When I was a teenager, I drank all the sugary confections you might expect (though I winced at the high school friend who dumped several packets of sugar in a Frappuccino). In my college years, I’d pretty much simplified to a splash of milk and a packet of Splenda. After a while, I temporarily gave up artificial sweeteners, and since the thought of coffee with milk and no sugar has always put me off for some reason (not milk-and-espresso drinks, though, who can say why) at some point, I just stopped adding milk. 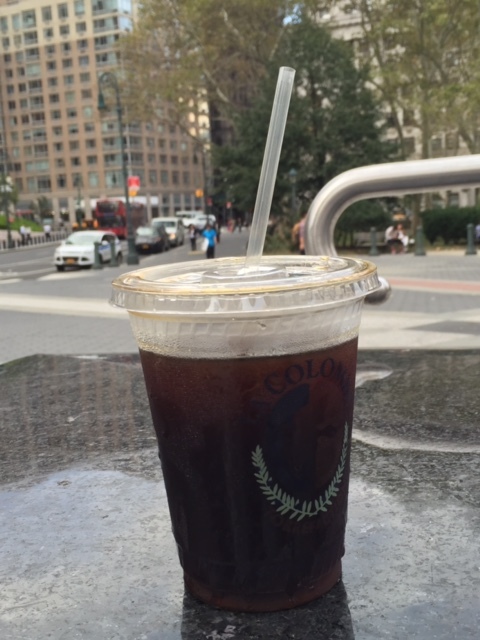 And so it was with dismay that I discovered that La Colombe’s regular iced coffee, for which I waited on a long line, is, in my opinion, pretty much undrinkable. It tastes burned and acidic and pretty much every flavor I dislike. And I had high hopes for La Colombe because of my soft spot for everything Philly-related. Luckily, my opinion has turned around with the introduction of La Colombe’s draft lattes and cold brew on tap. Granted, I’m a sucker for these sorts of things (I may have tried every nitro cold brew ever; go ahead, laugh), but La Colombe really delivers. If you feel like a chump for ordering a $4ish shot of espresso over cold milk (aka an iced latte), you’ll appreciate the added value of La Colombe’s already frothy on-tap version. Plus, the cold-pressed coffee itself is pretty darn good. And if you want true perfection, you will order the black and tan, which is (unsurprisingly) cold-pressed coffee topped off with the perfect amount of draft latte to drink up before all the carbonation bubbles away.